Two more animation cels arrived, these are the last items I ordered. Atom, who can shrink himself to microscopic size. 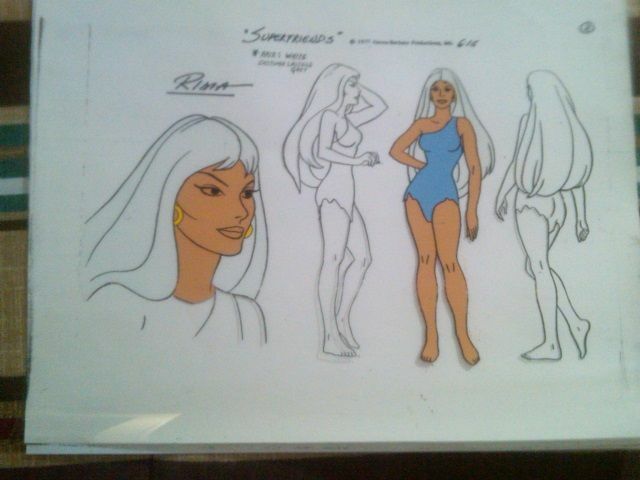 Rima the Jungle Girl - She's an expert tracker, and is able to communicate with animals, basically a female Tarzan. 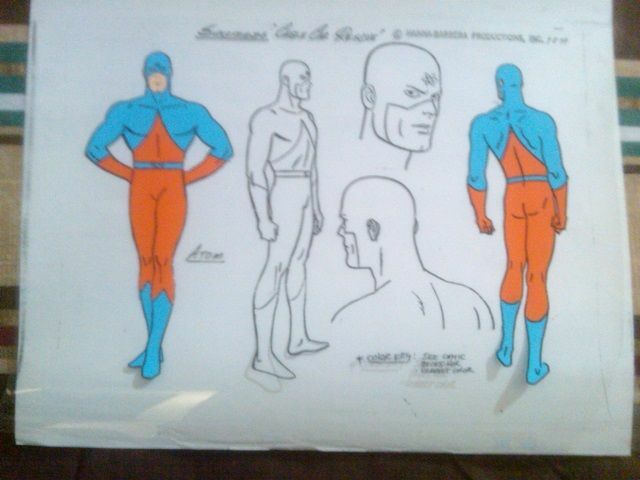 Who is the villain who looks like an exact copy of Superman? His evil twin? the character you are asking about is "Bizarro". A sort of 'clone' of Superman that's gone wrong. He was originally designed to be a mirror image of Superman, but because he's 'lesser' than the original, he's always falling short. 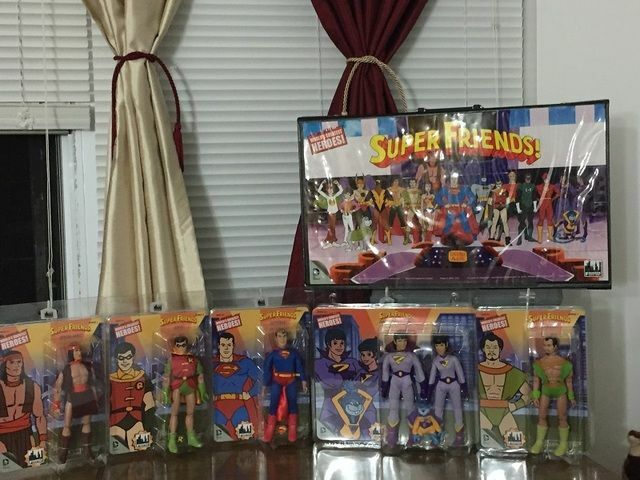 He's been in the comic books for a while, and on various episodes of The Super Friends. 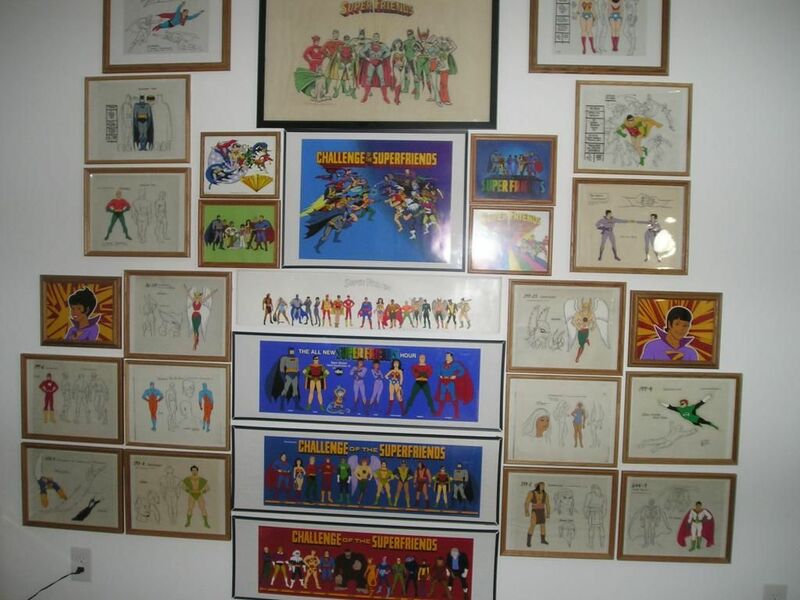 I got the new items framed, and rearranged the ones I had, so now everything is up on the wall as of Friday night. I like the way you arranged it. Looks good. Bizarro - what a name, lol. 'Clone Gone Wrong' would make a good name for a rock band! Thanks Chrissi, glad that you think it looks good! I agree with Chrissi, the arrangement looks good! 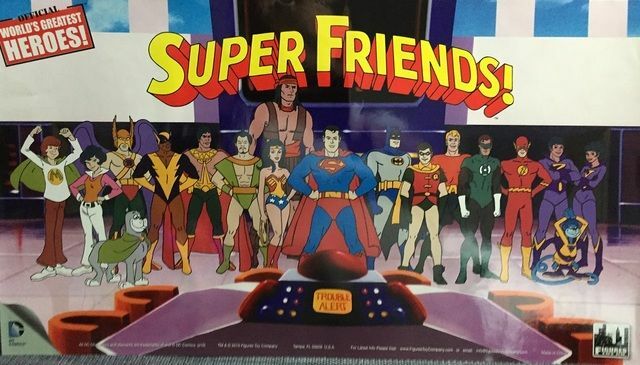 Figures Toy Company is marking the 40th anniversary of the Super Friends cartoon by releasing a whole series of Super Friends dolls, and a carrying case that holds 16 dolls, and includes a picture on the front of the case of all the hero dolls that will be released.